Why are these US products repeatedly threatened with tariffs? Why are US cranberries repeatedly threatened with tariffs? When the European Union was trying earlier this year to avoid US tariffs, its leaders threatened to strike back by targeting American products including cranberries, orange juice, whiskey and tobacco. The same four products -- cranberries, orange juice, whiskey and tobacco -- were included on a list of 106 goods that China plans to hit with heavy new tariffs as part of its escalating trade dispute with the United States. What's so special about cranberries and whiskey? Experts say that the seemingly random array of US products in line for retaliation are actually carefully selected. The goal is to heap both economic and political pressure on politicians in Washington, and convince them to reverse course. "Everybody looks at this very scientifically, and they have a lot of political science in this," said Ross Denton, a partner and trade specialist at the law firm Baker McKenzie. He said the European Union pioneered the modern trade retaliation system, whereby officials identify products that have the most economic importance to a target country and then "cross reference that with where they think the most political pain will be caused." The exercise yields a broad list of potential targets, which is narrowed by considering the economic impact that tariffs would have on consumers at home. "They definitely do look at the impact on the consumer," said Denton. "They always try to make sure there's an alternative supply for [their] consumers." Which leads us back to cranberries and whiskey. Related: How much ammo does China have for a trade war? Wisconsin -- a swing state that voted for President Donald Trump in 2016 -- produces more than half of the world's cranberries. It's also the home state of Paul Ryan, the top Republican in the US House of Representatives. China imports $50 million worth of US cranberries a year -- or 15% of America's global exports -- according to the US Department of Agriculture. The European Union imports $130 million in cranberries, or 38% of US exports. Beijing and Brussels both know that the public threat of retaliatory tariffs puts political pressure on Ryan, and other Republicans in Wisconsin. They may even lobby the Trump administration to reverse course. Meanwhile, if Chinese and European consumers had to pay more for cranberries, or forgo them altogether, the pain wouldn't be so severe. 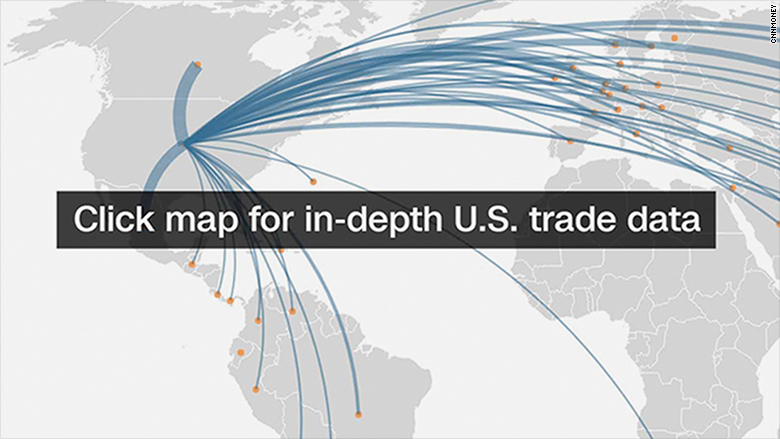 "Trading partners are trying to understand how to influence President Trump," said Chad Bown, a senior fellow at the Peterson Institute for International Economics. "There really is no definitive tried-and-true track record that we think could 'work.' "
Senate Majority Leader Mitch McConnell, another influential Republican, hails from Kentucky, where the sixth largest export is whiskey and 63% of voters went for Trump. A tariff on whiskey could seriously hurt American producers. But consumers in China and the European Union have plenty of alternatives -- they can get premium whiskey from Ireland, Scotland or Japan without too much trouble. Bown said the ultimate goal is to put pressure on multiple Republicans in the hopes that some of them will be able to influence Trump. "President Trump is a very different kind of president. It's really unclear ... who he listens to for policy advice," he said. After weeks of lobbying, the European Union was able to win a temporary exemption to tariffs the Trump administration placed on steel and aluminum products. That means cranberries and whiskey have been spared, for now. But trade tensions with China show no sign of letting up. 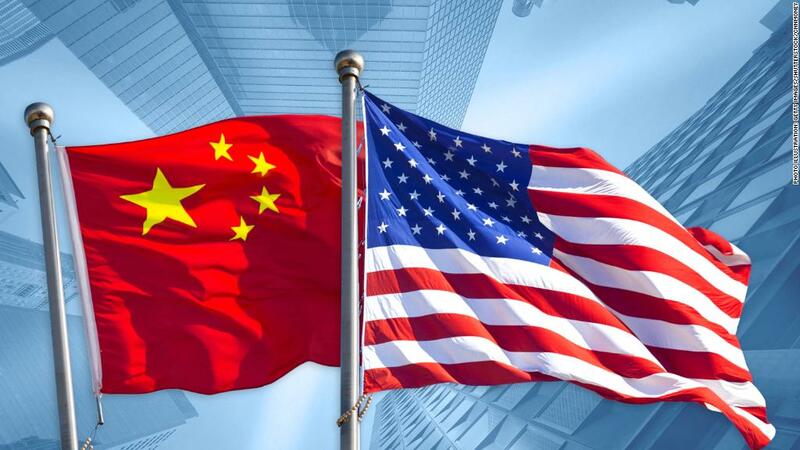 Beijing announced its list of 106 American products that will be hit with 25% tariffs on Wednesday. On Thursday, Trump said he was considering new tariffs on another $100 billion worth of Chinese goods. Mark Muro, a senior fellow at the Brookings Institution, estimates that about 2.1 million American jobs could be affected by the retaliatory tariffs that China has announced so far.